Hi folks! It’s time to announce the results of the release day giveaway for His Christmas Delight. That’s right. You read winners and so it is. There are not one but two winners of this giveaway. And they are…drum roll…Wisdomtree and Tuli Banerjee! Congrats, winners. Email me via contact me page of this site to receive your prizes. My story won the Love Lost and Found flash fiction contest at the Bonobology site. It’s called Rediscovery. I’m excited about this event for two reasons. First, I’ve never tried to write Flash fiction before. I’ve attempted to do it in my head. I’ve looked at posts. But I thought this was beyond me. Just one of those things you can’t get a hang of. As writers we should be able to write all forms regardless of the length of the piece. Of course each writer has their own comfort zone but that should be a choice, not need. I thought I could just not write concisely enough. I tried automatic word generator. I tried prompts from helpful people. But if I got writing, it ended up a novella or a short story. Finally I have something that is short length and conveys an idea of the story rather than the story itself. A lot of the inclination to write had to do with the romance genre feel of the prompts. I can conclude that it might help if you write in the genre you like. The second reason I’m so happy about this win is that I wrote it in a totally spur of the moment kind of way. I was travelling by car and mulled over the idea in my mind. Then I clicked the bare outline on phone. For a while I thought I couldn’t possibly finish it as certain demands imposed on me hampered me. But by midnight I got the idea edited and was even able to hit send! I’ve written faster than this but never conceptualised a story faster. So this was another reason to feel happy. 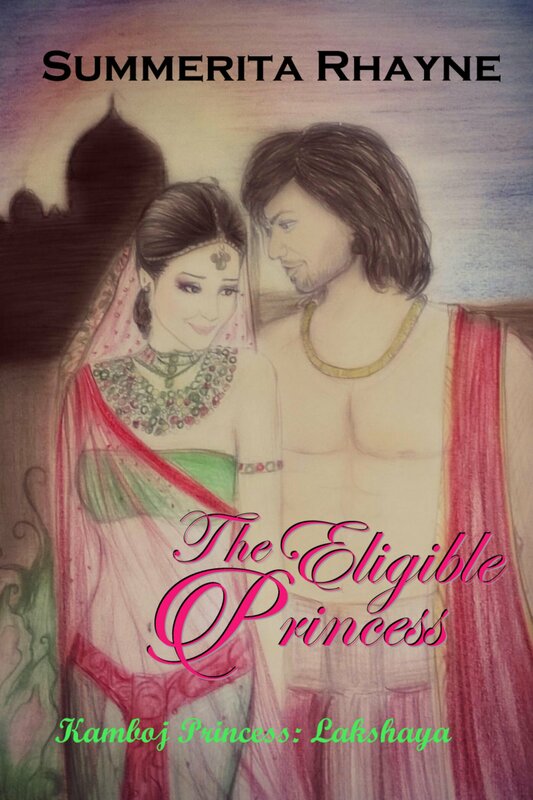 Thank you all for participating in The Eligible Princess giveaway. The contest was to message me or comment on the post why you want to read historical fiction. So now from the entries, I’m picking out a winner…no, wait! Surprise! There are not one but two winners! Reet Singh and Arvind Passey! If you didn’t win, there will be more giveaways soon, so stay tuned. We have a winner for the MothersDay contest and it is…drum roll…Ashwini! Here’s her story which wins her the book of her choice. There are so many things to tell about my mother from where to start is major problem for me.There is incident that happened when I was child. This incident is still vivid memory only because of my ma’s support.It was during my third standard my teachers complained to principal that I did not do any homework. I did not know why they suddenly complained about me that day .Without understanding anything I came home. I tried to make out what went wrong but all my efforts went in vain and that before going to bed I suddenly started crying .On hearing my slow sobs my ma patted my head and asked the reason behind this So when I told about it .She just asked me “Is there any home work to do? I will do it for you .Then I nodded and gave her my homework and slept on her lap with a pale face. While she completed my home work by staying all awake the entire night .Even though she had go to her office by 7am the next day. 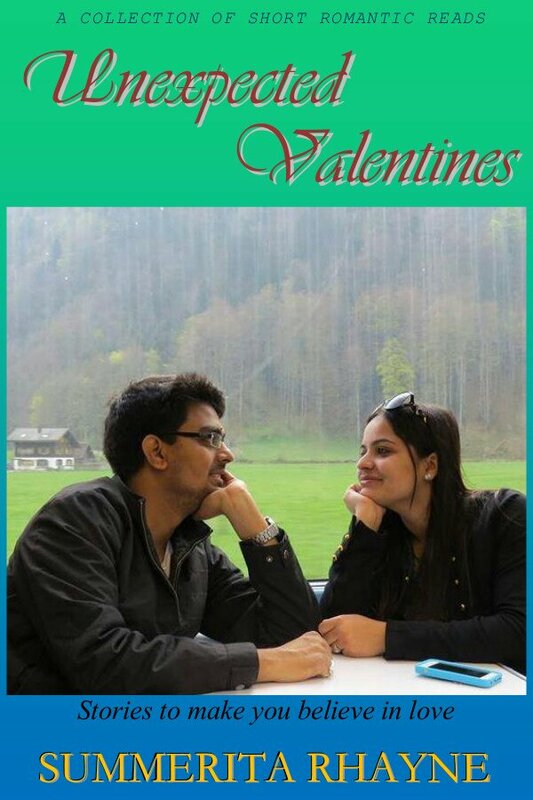 Here’s an excerpt from Unexpected Valentines – short story romance collection that Ashwini loves. Hope you enjoy! Her breath roughened again after few feet and she looked around for some rock or something to lean against, finally settling down against a tree stump. The mocking male voice with the rather pleasantly deep tenor unreasonably jarred against her senses. She made a face on recognizing it. Danish Batra. Her nemesis in court. ‘What weight?’ She squinted up at him as he descended the slope and came closer. ‘Casanova’s nothing compared to me and you know it.’ He winked. What was she thinking? She tore her gaze away from him. He settled down beside her. ‘Isn’t it?’ He said easily. ‘The air was beginning to dampen without your sharp wit. In honour of Mother’s Day, I have a special offer for my readers. Share a special story about your Mom and the best entry wins a copy of any of my ebooks. Mother’s Day originated from mainly two women, Julia Ward Howe and Anna Jarvis. Julia Ward sponsored Mother’s Day each year in Boston around 1870 to promote pacifism and disarmament with women. It lasted about 10 years. Anna Jarvis organized the first Mother’s Day in Grafton, West Virginia at St. Andrew’s Methodist Church in 1908. For me, Mother’s Day is an occasion to relive memories with my mother who passed away twelve years ago. I’ve lived in the same city as my Mom all my life. I was lucky that way as I didn’t have to travel a lot to see her. She was a teacher and worked hard all her life to attend to her three kids and was passionate about our education. My father used to commute everyday to work, so much of the burden of maintaining a household fell on her. She remained committed to her goal of seeing her kids well established. Now we’re all thankful to her for her unstinting commitment. We all love our mothers. Make this day special for them. I’d like to make it extra special for you too, so do send in your entry. To check out my books, click on Home tab at this site. You can share anything unique about your Mom. Just put it in the comments, along with your choice out of my books. The entry doesn’t have to be very polished or correct, just something straight from your heart about what your mother means to you. I will post the best entries in future posts, so feel free to include a line about yourself too. The contest will run up till Sunday, May 10th. To celebrate Women’s Day, I have a giveaway on my blog. A copy of my latest ebook, Unexpected Valentines is on the offer. Just share this post and leave a comment here why you like short stories to enter. Hi folks! The Guess the Name, Win the Book contest is officially over. A big thank you for an overwhelming response to the giveaway. Now it’s time to announce the winner. Because of the huge number of entries and your enthusiastic response, I’m picking not one but two winners! So by the law of randomness I hereby draw the winners. Contact me via email to claim your prizes. A heartfelt thank you to all participants. Don’t be disappointed if you didn’t win. Because Against All Rules will be available for a discounted prize starting today for three days! Grab it while it’s at this never before low price.